Advice on what to do on Valentine's Day 2019 in Naples with bike rides, dinners, chocolate parties and much more. Il February 14 2019 makes Valentine's day, the most romantic party of the year that will make a wonderful day spend all the lovers. Anyone, however, can devote himself to the private events interesting that there are a Naples in this day, choosing between different types of initiatives to live a few hours between culture and entertainment. 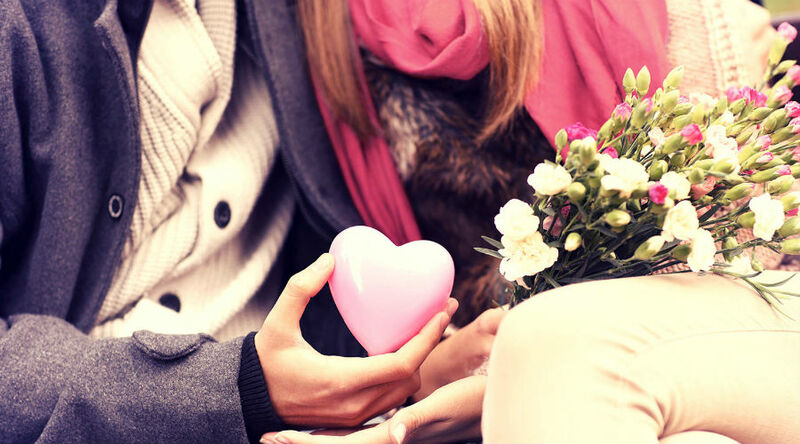 Obviously there are several events dedicated purely to Valentine's Day, like the beautiful bike ride from the Mostra d'Oltremare to Pozzuoli and included in the best restaurants in town. In San Pasquale in Chiaia and in Piazza Carità there are also two greedy ones Chocolate parties, the right product to give to your own half. Moreover, Eden of Cuba begins the Circus of Cuba without animals. Among the cultural events, the promotion of the Mann to enter only 5 euro and visit the collections or the interactive exhibition on Van Gogh with the animated paintings. Furthermore, the exhibition on Escher and the one on the inventions of Leonardo Da Vinci. It does not end here, though, and you just have to find out about others events for Valentine's day in Naples. Until June 30 2019 it is possible to admire the interactive exhibition dedicated to Leonardo da Vinci, "Leonardo da Vinci - the Genio del Bene", set up in the evocative setting of the crypt of the Vincenziano Monumental Complex, in the historic district of Naples Vergini Sanità. During the view you can admire the machines and the works that tell the story of the great genius of the Renaissance. At the Auchan Shopping Center in Giugliano, Egypt is waiting for you on display: a great exhibition to admire the beauties of Egypt! Dall '11 February at 4 March 2019 il Auchan Shopping Center di Giugliano in the province of Naples will welcome "Egypt on display", A great and wonderful exhibition between thematic islands and faithful reproductions. If you want to spend an unforgettable Valentine's Day, then you can not miss 2019 Innamorati di Napoli with guided tours with illustrious ciceroni. If you want to celebrate Valentine 2019 in a unique and unforgettable way, then do not miss the guided tour with "illustrious ciceroni" scheduled on Sunday February 17 2019. If you want to spend an unforgettable 2019 Valentine, you can not miss the opportunity to visit the Archaeological Park of Herculaneum: with 1 ticket you enter 2. On the occasion of the feast of Valentine 2019, you can visit the Ercolano Archaeological Park paying only one ticket for two people. Unlike what you might think, you do not necessarily have to be engaged or married to take advantage of this opportunity. You can also access as a couple of friends, parents and children, grandparents with their grandchildren. The initiative, as already mentioned, consists in allowing theaccess to two people paying one ticket. The Virtual Archaeological Museum of Herculaneum offers an admission ticket for only 2 euros on the occasion of Valentine's Day 2019. For the party of lovers the Virtual Archaeological Museum of Ercolano propose a day with a special price ticket: in fact, all the couples will be able to visit the Museum for the day February 14 2019 with a single ticket only 2,00 €. The Royal Palace of Caserta has introduced the afternoon ticket at the price of 3 euros to visit the Historic Apartments and temporary exhibitions! From Sunday 15 July 2018 la Palace of Caserta introduces a new discounted ticket to visit the rooms and it is the afternoon ticket for the price of 3 €, valid every day until any new communication. Theatrical show in Pietrarsa in the historic wagons with "Next stop: the station of memories"
A very special theatrical performance will take place at the Museum of Pietrarsa between the historic wagons with "Next stop: the station of memories"
Saturday 16 February 2019 al Pietrarsa Museum, in Portici, comes the theatrical show "Next stop: the station of memories" that will involve the public with many stories told among the historical cars of the Museum and in which the spectators will be special passengers passing from one train to another together with the characters of the show. At the Grand Hotel Parker's back "Do Not Disturb", the theater in the hotel with three new theater rooms dedicated to love for Valentine's Day. From the 14 16 2019 February, on the occasion of Valentine's Day, come back "Do Not Disturb", the now successful theatrical format, conceived by Mario Gelardi and presented by the Nuovo Teatro Sanità, which transforms hotel rooms into original theatrical stages. The PAN - Palazzo delle Arti in Naples is ready to host the exhibition on Escher, with works by the Dutch artistic genius and its natural successors. Update: the exhibition has been extended until the 5 May. If you want to delve into the magic of Van Gogh's masterpieces, then you can not miss it Van Gogh Shadow, the interactive exhibition that will take place from the 26 January to the 24 February 2019, at the Center Commercial Campania. An innovative way to approach art interactively through the use of modern technology. If you want to celebrate the Chinese New Year, under the banner of the "Pig" year, then you will be interested to know that from the 4 to the 20 February 2019, starting from 14, you can take advantage of a reduced ticket of 5 euro to visit permanent collections and temporary exhibitions of the MANN, National Archaeological Museum of Naples. Also not to be missed are "Mortali Immortali. The treasures of Sichuan in ancient China ", which, for the first time in Europe, collects extraordinary works, expression of the Shu culture. 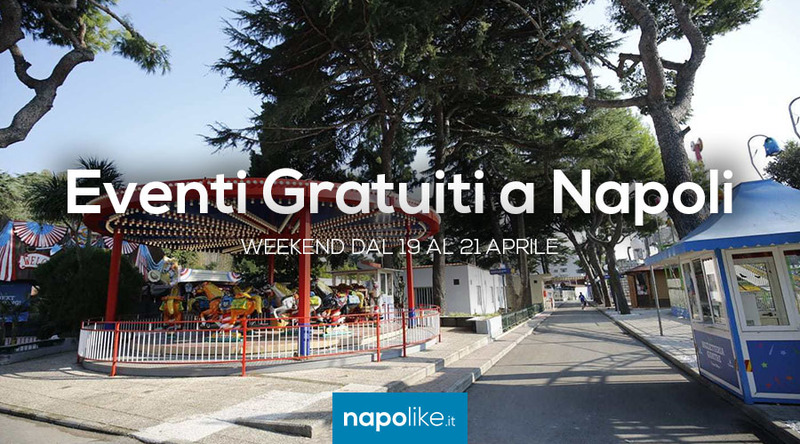 Until February 28 2019 the Edenlandia of Naples celebrates the month of love with the Edenday, days when you can enjoy the wonderful amusement park throughout the day. In fact, thanks to this formula you can have it unlimited access at the historical park rides. For a unique and unforgettable 2019 Valentine's Day in Naples, do not miss the chance to take a romantic bike ride from the Mostra d'Oltremare in Pozzuoli. If you want to spend one Valentine's day really special, then go cycling with your sweetheart. Thursday February 14 2019, from 19: 30 to 22: 30, in fact, for the first time in the Flegrea area, you can see the city with different eyes. From the 14 17 2019 February do not miss the Chocolate Festival that returns to Naples in Piazza Carità in the period of Valentine's day. The perfect opportunity to taste and discover the goodness of chocolate but above all the art that lies behind its processing. Chocoliamo arrives in Naples, the chocolate fair with free admission to be held in Piazza San Pasquale on the occasion of Valentine's Day 2019. From 8 to 16 February 2019, on the occasion of Valentine's Day, in Naples will be held the sweet chocolate fair, with free admission, Chocoliamo. There are many tastings that can be done among the stands dedicated to this delicious dessert as well as workshops and show cooking. The event will be held around Piazza San Pasquale and also provides entertainment for the little ones. The Cuban National Circus also passes by Naples with a breathtaking sight to watch at the amusement park the Edenladia. 14 from February to March 24 2019 it will be possible to attend the circus and circus arts performances to the rhythm of rumba, merengue, cha cha cha and salsa without the exploitation of animals. For 2019 Valentine have been installed beautiful lighting at Pignasecca in Naples: an initiative against degradation and abandonment! After the lights installed for Christmas, even for the holidays of Valentine 2019 beautiful heart-shaped lights have been installed that will embellish and enhance the popular district Pignasecca of Naples. At the Vulcano Buono in Nola, the 2018 ice skating rink arrives for adults and children! Also this year has reopened the ice rink of the Vulcano Buono Nola, in the province of Naples, to spend a fantastic and enjoyable 2018 Christmas period for adults and children. The best restaurants for a romantic Valentine's Day dinner 2019 in Naples with refined menus, live music and surprises. The evening of Valentine's day it is undoubtedly the most romantic of the year and every couple wants to spend it with an unforgettable event or dinner. 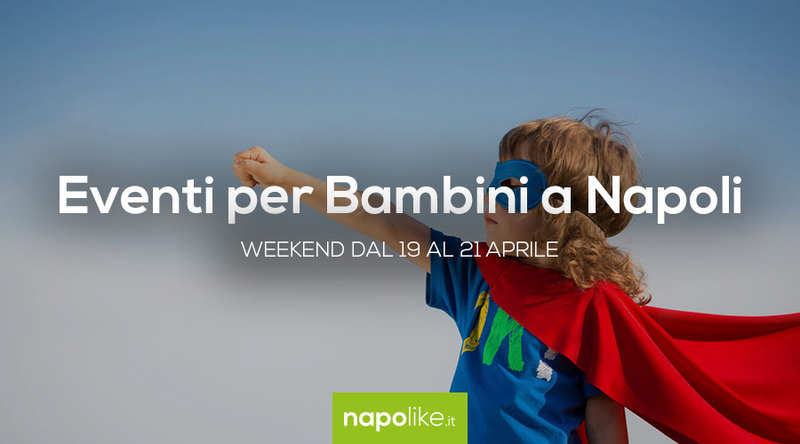 The 14 February 2019 in Naples they are various restaurants he hotel offering unmissable menus and packages to celebrate love as a couple and, in our articles, we want to recommend the best ones.